Are you struggling with 512MB RAM of smartphone? Then it’s time to switch to a best smartphone that can handle 4GB RAM. 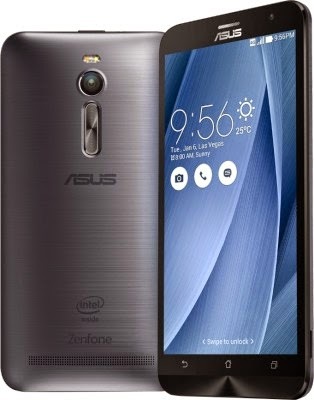 Get ready to buy stunning Asus Zenfone 2 which have amazing features. What are the various features in Asus zenfone 2? Runs with the Android v5 (Lollipop) Operating system. 5.5 inch screen and uses zen user interface. The screen is ofcourse covering 70% of the smartphone and so you can get best viewing experience. 3000 mAh battery which is enough to use for a day when the smartphone is used in right way. Multi tasking is very easy in Asus zenfone 2. 4GB RAM DDR3 .So we don’t need to worry about speed and transfer data . Front camera is upto 5mp which is a maximum where most of us used front camera upto 3 MP only. Rear camera is upto 13mp. Dual sim option available with advanced technology. Asus zenfone 2 have the 64bit, 2.3 GHz Intel Atom processor and a 32GB storage. Also you can extend the storage capacity upto 64GB. What are the advanced features we can get in Asus zenfone 2 camera? Asus zenfone 2 uses the pixel master technology .With the feature of pixel master low light mode we can capture videos and photos even at night. You don’t need to spend extra cost to buy digital camera because this smartphone comes with the professional photography settings . Asus zenfone 2 has dual-LED real tone flash so you will experience real color photos. You can get an awesome user experience with Asus zenfone 2 which comes with Zen user interface shortly called as ZenUI. ZenUI provides stylish layouts which looks beautiful in white display. Zenmotion made easy to swipe ,touch and tap in this smartphone. Hide your personal files in zenfone using snapview where the files can be viewed by you only. Asus zenfone 2 has inbuilt 4G/LTE which is helpful for clear voice communications ,and fast data transfer upto 150Mbit/s .So there will be smooth data transfer even when you are in travel. Asus zenfone 2 has one of the best 802.11ac wifi standard. So the wifi speed looks blazing fast. According to azus also Asus zenfone 2 is considered one of the milestone in their smartphone history.So friends when you looking for a best smartphone check Asus zenfone 2 . The overall cost is Rs.19,999 only.So don’t miss it.